Ultrasound, also referred to as sonography, is a non-invasive technique used to capture internal images of the body, be it blood vessels, muscles, organs and other soft tissues. Ultrasounds may be performed to monitor the progress of a growing fetus inside a mother’s uterus, to detect abnormalities or signs of disease or even to visually assist with surgeries and biopsies. Ultrasound does not use radiation like X-rays or CT scans. Instead it relies on sound waves generated at such high frequencies that they cannot be heard by the human ear. According to Dr. Craig C. Freudenrich, ultrasound is similar to echolocation, a form of communication employed by bats and dolphins where they send out noises and listen for echoes in order to locate items or organisms in their environment. An ultrasound machine consists of a transducer (a type of probe) and a central processing unit or computer connected to a display (monitor), keyboard and printer. The transducer is passed over the area of the body that covers the internal structures to be imaged. It is the transducer that emits sound waves at frequencies ranging between 1 and 10 MHz (megahertz). In turn, the sound waves are reflected back to the transducer after they bounce off the structures that are the focus of the ultrasound. The central processing unit measures the echo intensities and speed. These measures are converted into electronic images that show up on the machine’s monitor. The ultrasound technician uses the keyboard to enter patient data and information related to the procedure. Hard copies of the ultrasound images may be printed to present to members of the diagnostic or healthcare team. Just like the continual evolution of computers and personal communication devices, ultrasound technology continues to advance. 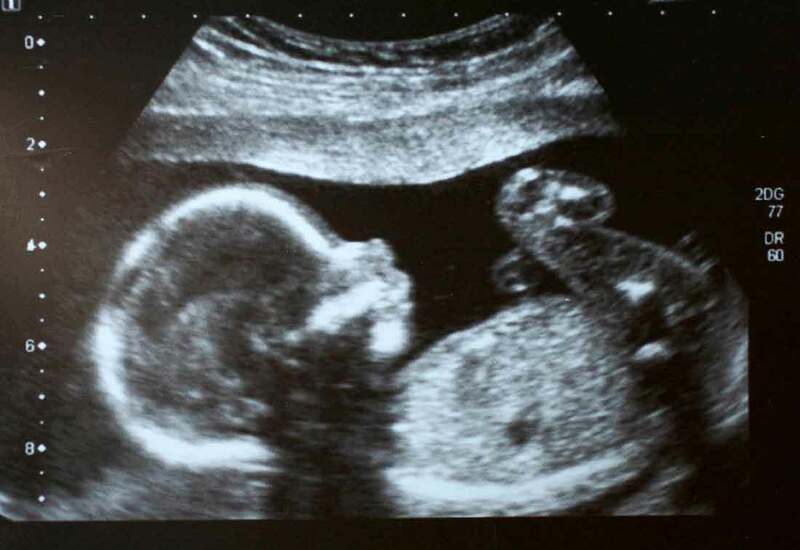 Originally, ultrasound technology only presented one- and two-dimensional pictures. Now there are machines capable of generating three-dimensional images. The first three-dimensional ultrasound machine dates back to the mid 1980s; Kazunori Baba, at the University of Tokyo used this innovative technology to capture 3D images of a fetus. There are even four dimensional ultrasound machines now which generate 3D scans in real time. More recently, there has been a revolutionary wave to make ultrasound machines more portable and compact, useful in emergency situations and temporary healthcare facilities and more convenient in any clinic or hospital setting. According to Klein Biomedical Consultants, in 2007 the demand for hand-held ultrasound devices had increased by 42% (Source: “Design of Low-Cost Portable Ultrasound Systems” by Jonathan M. Baran). For example, in 2009, General Electric launched its V-scan pocket-sized ultrasound device. In early 2011, the US Food and Drug Administration approved Mobisante’s latest invention: a cross between a smart phone and an ultrasound scanner. Advancements in the application of ultrasound is continuously evolving, and more information can be found in this recently published article. How Does Ultrasound Technology Compare? In addition to diagnostic medical sonographers, also referred to as ultrasound technicians, there are other healthcare professionals who use medical imaging technology. Radiologic technologists use X-ray, MRI (magnetic resonance imaging) and CT (computed tomography) machines. Unlike ultrasound machines, these technologies use radiation. Nuclear medicine technologists also use scanning equipment to capture internal images of the body. In this case, they administer radioactive compounds to their patients for the purpose of detecting abnormalities among the structures that are imaged. Learn more about the differences between these technologies in our recently published article.